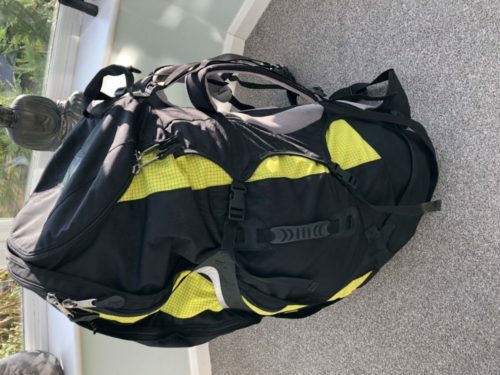 GIN Sprint EVO M 90-110Kg ENB with GIN rucksack, both in good condition. 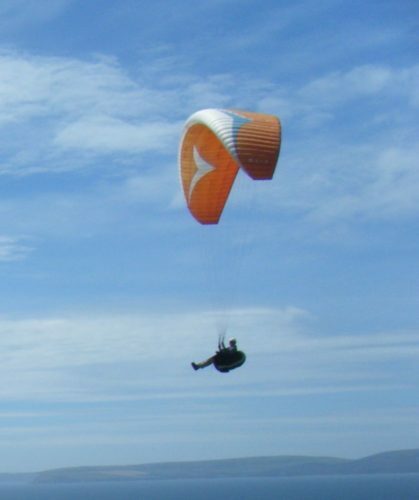 Home » Paragliders » EN B » GIN Sprint EVO M 90-110Kg ENB with GIN rucksack, both in good condition. 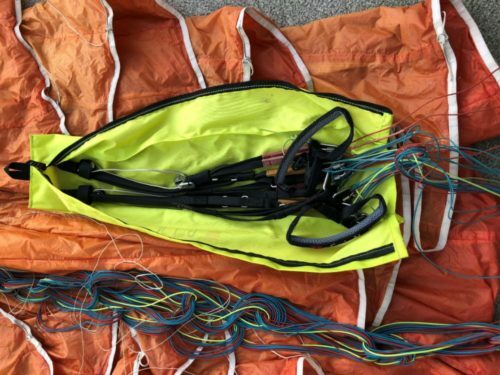 I’m selling my GIN Sprint EVO paraglider wing medium with all up weight of 90-110 Kg. It has under 250 hours and in good condition. No patches or SIV and has always been folded correctly. I have used it as a spare for the past 3 years and test flew it last month. It is a lovely wing to fly, handles and thermals well and has plenty of life left. It comes with the original GIN 160 litre rucksack. This has been used only a handful of times as I use a reversible rucksack so is virtually new. Location Dorset. Free delivery to UK address at listed price.